Unity of the ethnic peoples of the whole country is a requisite for national development. 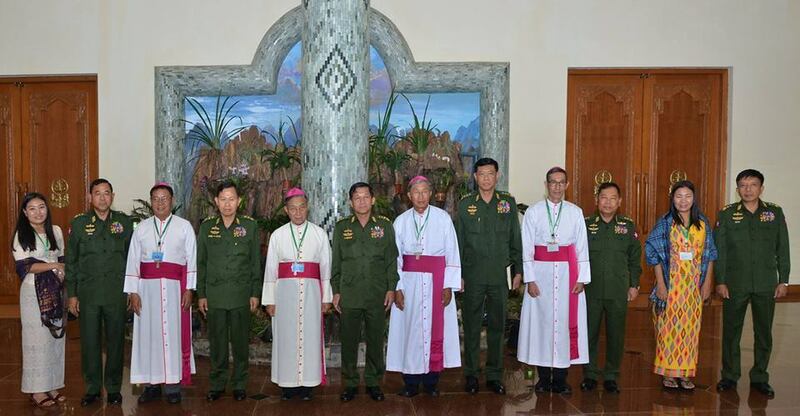 The strength of the nation lies within, and as it is the strength of the ethnics of the Union, it must be built with trust, unity and harmony among them, said Commander-in-Chief of Defence Services Senior General Min Aung Hlaing at his meeting with Catholic bishops of Kachin State and northern Shan State led by Archbishop of upper Myanmar Catholic Archdiocese Paul Grawng at Bayintnaung Parlour here this morning. Also present at the meeting together with the Senior General were Deputy Commander-in-Chief of Defence Services Commander-in-Chief (Army) Vice-Senior General Soe Win, Chief of the General Staff (Army, Navy and Air) General Mya Tun Oo and senior military officers of the Office of the Commander-in-Chief (Army). The archbishop was accompanied by Bishop Phillip Lasap Za Hawng of Lashio, Bishop Francis Daw Tang of Myitkyina and Bishop Raymond Sumlut Gam of Bhamo. Bishop Francis Daw Tang express-ed pleasure for the endeavours and assistance of the Senior General for internal peace and national reconciliation. He said as the Catholic bishops of Kachin State and northern Shan State, they are resp-onsible for leading the religious affairs of the Catholics of the respective regions and are making utmost efforts in showing the way towards becoming a good citizen. 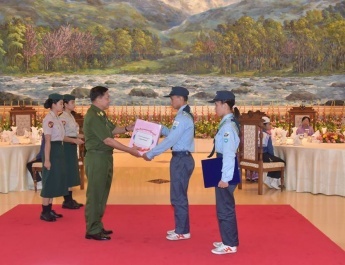 It is so encouraging that the Tatmadaw is striving together with the government, the people, the Hulttaws, political parties and civil society organizations in making ardent efforts to restore internal peace and national reconciliation, implement democracy, and develop socio-economy of the people. There are now 120,000 displaced persons (IDPs) who left their homes and are staying at camps. They have been living at the IDP camps for nearly seven years since 2011. They are without hope and their lives are in disarray as they have no prospect for occupation and are living a difficult situation. The catholic association in cooperation with social organizations is providing aid for IDPs in Kachin and Shan states. The government and social associations are giving humanitarian aid and help as much as possible for the return of those IDPs. 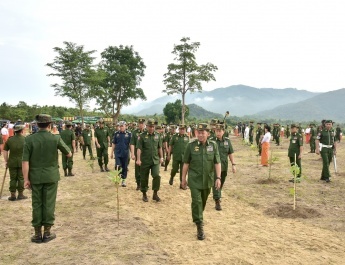 Therefore, the Tatmadaw is also urged to provide additional help and security for the IDPs so that they can return home safe and sound. The catholic association itself will not only to pray for peace but also to cooperate wherever necessary. It is believed that dialogue is the only solution to achieving peace. The catholic bishops themselves believe that there will be more bilateral talks on nation-building tasks, he said. In his discussion, the Senior General said when it comes to internal peace, the Tatamadaw is the organization that wants eternal peace most. Its duty is to defend the country and efforts are being made to end armed conflicts. The Tatmadaw has been following the path to multi-party democracy chosen by the people since 2011. In so doing, internal peace is essential. Being born of the people and made up of various nationalities of the Union, the Tatmadaw must protect the people. This is why the Tatmadaw decided to follow the democracy road as the people wish. Peace efforts are being exerted to resolve armed conflicts that emerged due to various reasons. The emergence of armed conflict is based on political discord and religious and ethnic affairs. When the country is on the track to democracy, only peaceful ways are necessary rather than armed struggle line. Now, Myanmar has a lot of political parties and democracy is being exercised. There should be only peaceful means although different parties may have different ideologies. As the State Constitution allows religious freedom, religious discord cannot be found in the country. Myanmar has over 135 national races. Under the law, all national races and all genders are granted equal rights. Once there are any ideological differences, they can be resolved through peaceful means, the Senior General added. Moreover, it is needed to restore eternal peace for strengthening practice of democracy the nation is practising, and the Tatmadaw is striving for restoring eternal peace with a strong wish. The Tatmadaw does not have any problems with ethnics and holds peace talks with ethnic armed organizations. And, the Tatmadaw will accept to discuss the topics on differences with these organizations. They need to have keen wishes to actually restore peace and not to break peace agreements and pledges. The Senior General expressed his hope not to settle IDP camps. It is important that ethnic armed groups should not make IDP camps as stepping stones. The Tatmadaw will give a helping hand to IDPs for their resettlement in their native places as much as it can. Now, efforts are being made to ensure peace for prevalence of law and order. 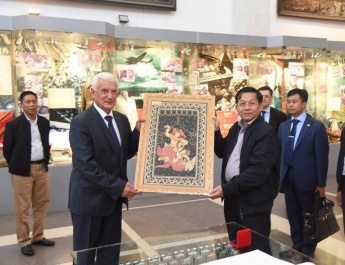 Afterwards, the Senior General said that all ethnics need to forge the spirit of Myanmar so as to ensure unity and fair. Local people in the places where peace cannot be restored are facing loss of chances to learn education, to do work, to get health care services and to carry out development tasks. All ethnics need to understand the point that peace is the most important. So, all the ethnic people must be in unison. They must broaden their scopes not only for their regions but also for the whole nation as well as the whole world. It is important that it needs to march towards with firm steps courageously for development of the nation by overcoming hindrances. Pope Francis on his tour of Myanmar expressed his attitude similar to that of the bishops, saying that it was important to restore peace. 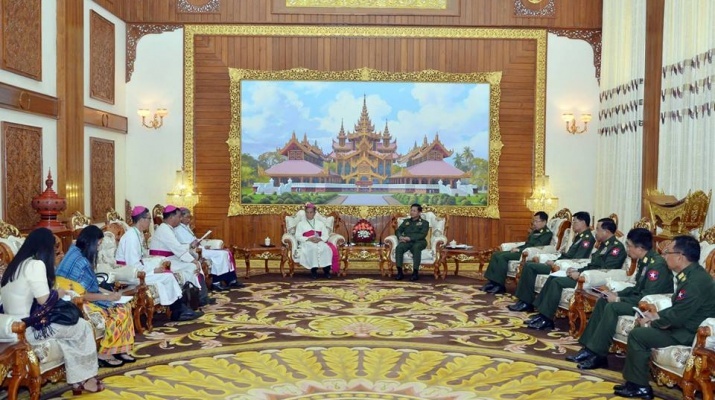 The Senior General recounted that he explained the genuine desire of the Tatmadaw to restore eternal peace, the Pope accepted it. The Senior General said the bishops should urge all to make concerted efforts to prevent narcotic drug problem which is a main challenge for the youths. The Tatmadaw is safeguarding and defending administrative regions of the government, rule of law, life and property of the people and sovereignty of the State loyally. 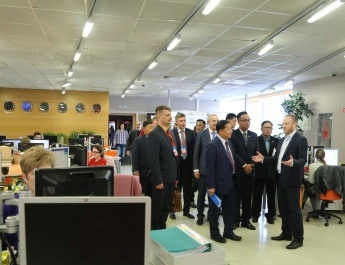 Efforts are being made for achieving success in solving the problems to different attitudes of ethnic armed organizations in patience for restoring peace. 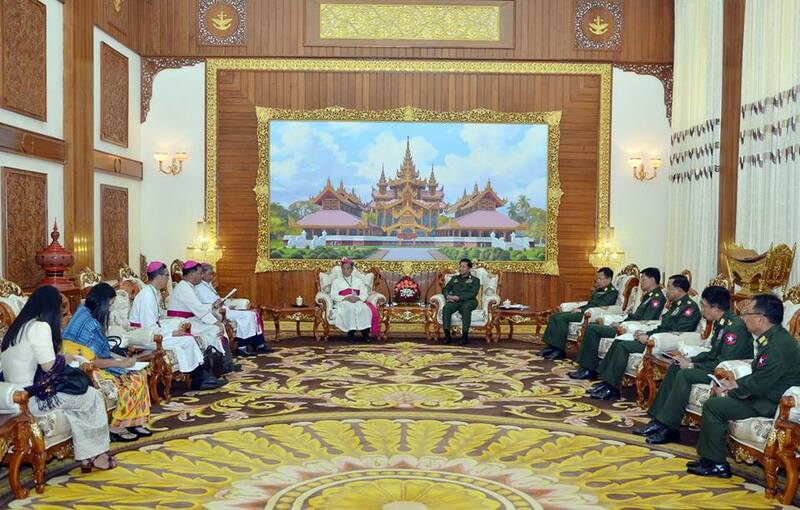 Then, Archbishop of Upper Myanmar Catholic Archdiocese Paul Grawng said he was delighted at knowing attitude, concept and out-looks of the Commander-in-Chief of Defence Services for development and peace of the nation. He prayed for the Tatmadaw to achieve success in restoring eternal peace in Myanmar and all the people to have safe life and property. After the meeting, the Senior General presented foodstuffs to Archbishop Paul Grawng and party and had documentary photo taken.